Telegraph House01263 715779work01603 870304fax Self-cateringTelegraph House is a spacious house nestled at the foot of a hill, between the delightful villages of Kelling and Weybourne. Luxuries: Flat screen TV with Freeview, DVD Player, iPod Dock, WiFi. General: Oil fired central heating. 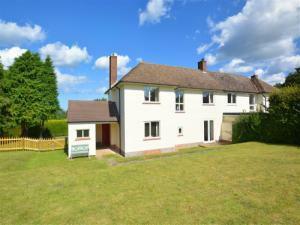 Rooms: 3 bedrooms, 1 bathroom, sitting room, kitchen, dining room, cloakroom, outside utility room. Beds: 1 king size, 3 singles. Access: Driveway parking for two cars, with extra parking available on grass verge. Telegraph House is a spacious house nestled at the foot of a hill, between the delightful villages of Kelling and Weybourne.